Being a scanner personality, Nina loves to learn, see and discover new things and to gain new skills. 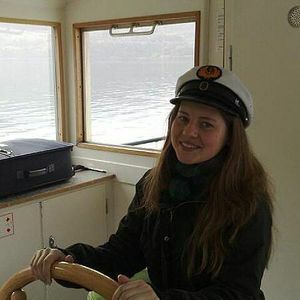 When it comes to occupational choice, Nina would have been as happy as a lawyer than a marine biologist; so after her apprenticeship at a law firm, she went to South America to examine sharks and advocate for marine protection with Equilibrio Azul. Nina then returned to Switzerland to do her Bachelor’s degree in Community Development. She volunteered for Greenpeace and contributed to organizing manifestations against nuclear energy, being the face of the movement as a spokesperson. After completing her studies, Nina worked for the Civil Society Strengthening Programme in Cameroon and only recently decided to move back to Europe and settle in her chosen home Berlin. In this Hub of creative minds, Nina works for SEEK Development; a consultancy specialized in supporting human development globally. Her dream is to become a freelance consultant for local governments and institutions of the social sector – and as such to contribute to finding innovative solutions for societal challenges.